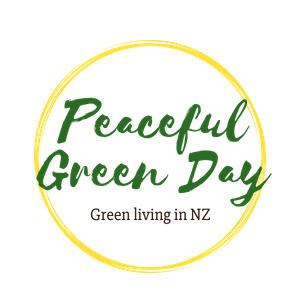 Peaceful Green Day: So you want to kill my cat? So you want to kill my cat? Last night we watched The Secret Life of Cats, a National Geographic documentary. We watched it online, of course, having no TV. It highlighted cats' murderous habits, which I think about daily as I watch our own furry carnivore, a loved member of our family. The Australian scenes stood out. A millionaire who founded a fenced wildlife sanctuary to protect Australia's many vulnerable, weird and wonderful mammals had a bumper sticker saying "The only good cat is a flat cat". He wore a cat-skin hat, complete with cat head over his forehead. As a nature lover I sympathise with and even admire that. So how come we have a cat? With winter setting in here, and a nightly fire in the woodburner, we are falling more in love than ever with Duke, who hangs around us a lot more when it's cold. He has a huge shaggy coat, and cooling off outdoors in the shade is his natural summer setting. But for now, he wants the hearth and the body of one of his clan members (us) whenever possible. He's in high demand by us. On the rare occasions he's adventuring when those after-dinner hours by the fire come round, someone's bound to call him. He's as obedient as a dog, and always comes, although it can take a while if he has a few boundary fences to navigate to get back to us. We know he's at the door when we hear him rattling the flyscreen, into which he has sunk his claws. (Yes, the flyscreen is tattered as a result.) Meowing's too hard, I suppose, and his is a quiet version. At bedtime he's essential. Anna must have him on her bed while we have our evening chat and songs, and he goes to sleep there when I leave. Then at Jack's bedtime, I collect Duke and Jack and I spend about 10 minutes stroking and scratching him, and discussing things like how finely crimped his fur is, how cute but lethal his front paws are - and subtly striped, like a tiger's! - and how ugly the insides of his ears are. That fine fluffy guy lies there taking all the touching he can get, including having his ears turned inside out. Ewwww. Cats seem like an extraneous life detail to non-cat people, but essential to happiness for cat people! A year or so ago a non-cat friend told me her daughter wanted a cat, and she wondered if she should give in and get her one. I told her that we felt that life was much better since we got our cat. Privately, apparently, she scoffed at me for making such a grand statement. But she got her daughter a cat, and within a few days, she told me, she knew exactly what I was talking about! "I love that cat!" she exclaimed incredulously. I think they are a truly heart expanding addition to a family. Also, they're there for you even when everyone else is angry with you, and nothing else feels good. I remember this as being important to me when I was a child - the comfort of my cat when I was all at sea. I also love they way they accompany you in the garden, as if they're thrilled to have you visit their territory. fangs are ill-equipped to eat leaves. What about their murderous habits? Duke no longer brings us the corpses he's hunted. He started out with that repulsive behaviour, but as a smart guy he learnt fast when I spoke from the heart (i.e. screeching and yelling at him in horror). But what about the wildlife? Here in New Zealand we almost exclusively want the mammalian wildlife dead, apart from our tiny native bats. Cats can get bats, but they tend to sleep up high under the bark of gnarly old trees. Sadly we have none of those on our property. All our other small land mammals are pests, so cats' killing is welcome. Birds are another matter, although the natives are in such short supply around here that it's not really a risk (sadly I did once find a fantail corpse). Of course the native birds' main threat is having their eggs and chicks eaten by rats, possums and stoats, so cats may have a net benefit (see this article for more on that*). Which is why, after his ear innards have been rudely commented on, Duke is mainly heaved outside for the night (unless it's especially cold). There he can kill as many rodents as he likes, as they scurry about on their nocturnal wanderings. Meanwhile the birds are quiet, still, up high and far less tempting. I was fascinated by a section of the documentary showing a group of middle-aged Aboriginal women tracking a feral cat. It seems that cats have wiped out much of the Aboriginals' traditional prey. Astoundingly, now they eat cats instead! The women were helping a biologist, and they were amazingly skilled at tracking and catching a feral cat. When the biologist had finished with it, the women roasted the cat then sat around the cooking fire eating its various bits with their hands. Mmmm, cat drumstick. *This controversy was stirred up by the SPCA's policy of not putting down stray cats, but desexing and re-releasing them into the wild. There are also places where people feed these re-released cats. Give them a kind, lethal injection and donate the money to pest control efforts, I say.